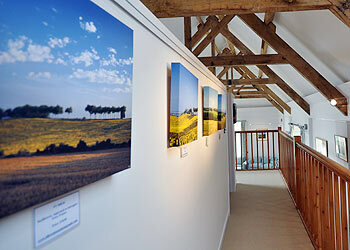 There is a permanent exhibition of the work of landscape photographer Jill Swainson (www.jillswainsonphotography.co.uk) in Leys Gallery. This changes from time to time, but it will always include views from the locality, including the Area of Outstanding Natural Beauty, which surrounds Valley View HQ. The current exhibition is ‘Ancient Pathways and Landscapes through the Lens’. Viewing is by appointment only or as a guest in the barn!